Welcome to the Balearic Islands, if you are looking for adventure then Ibiza is the place so sign up to this tour. Discover the old town and everything enclosed within its fortified walls which were built to defend the town from pirates, vandals and invaders from entering the most famous party destination in the world. 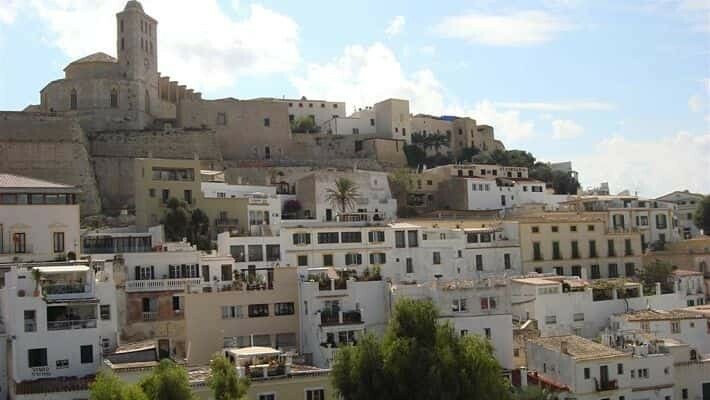 On our Ibiza walking Tour we will discover the secrets and stories that this famous piece of land, located in the Balearic Islands has tucked away. Ibiza is known world-wide for its unparalleled parties but be aware that the city has a thousand more things to offer. You will be able to go for a walk around the heritage left behind by Romans, Vandals and pirates right from it was first discovered and see how it has managed to turn into one of the main tourist destinations. Our English speaking guide will take you to the city´s Historic Town. 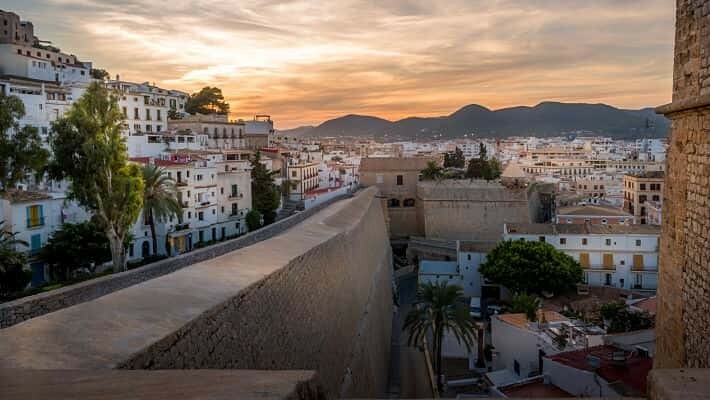 At the shores of the great Medieval fortified walls built in the 16th century, we will visit the Dalt Vila district which is located at the highest point of the island. 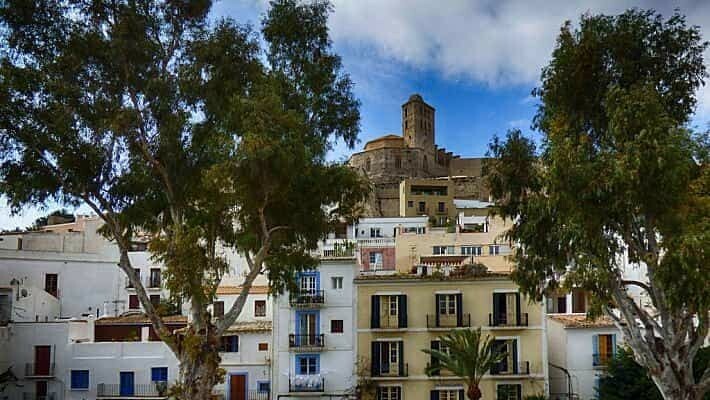 We´ll also have the opportunity to visit Nuestra Señora de las Nieves Cathedral, Plaza Vila or some of the main streets and facades like that of Ibiza Town hall. On this walking tour, we will walk around the most Renaissance part of Dalt Vila, a labyrinth city of ancient walls. Its famous walls were built to protect it from the numerous attacks from pirates who wanted to invade it from the sea, wanting to venture inland in search of looting the island rand obbing it of its marine treasures. We will wander through its narrow streets and from the top of the hill look down at the Mediterranean, enjoying its spectacular views over the small shops hidden within its squares. Within its walls we will make another stop and visit Plaza de la Vila, this is a must which can be accessed through the door Es Soto, the Portal Nou and one of its main entrances, the Portal de Ses Taules. This square is one of the liveliest you´ll come across on our tour mainly because in it you will find many shops and some of the best restaurants, surrounded by picturesque facades that you will fall in love with; in fact it was the main market and for centuries the square holds the main shops where locals would go to buy bread or milk. Be ready to fall in love with the cultural and historic heritage of this city on the Ibiza Walking Tour. Ibiza Port, in front of the bar Café y Sol. Planning an activity for more than 6 people?